Irani, S., Lashgari, M. (2630). Analysis of a solid state wave gyroscope with thin shell cylindrical resonator and calculation of its conversion factor. Journal of Aerospace Science and Technology, 5(4), 167-174. Saeid Irani; M. Lashgari. "Analysis of a solid state wave gyroscope with thin shell cylindrical resonator and calculation of its conversion factor". 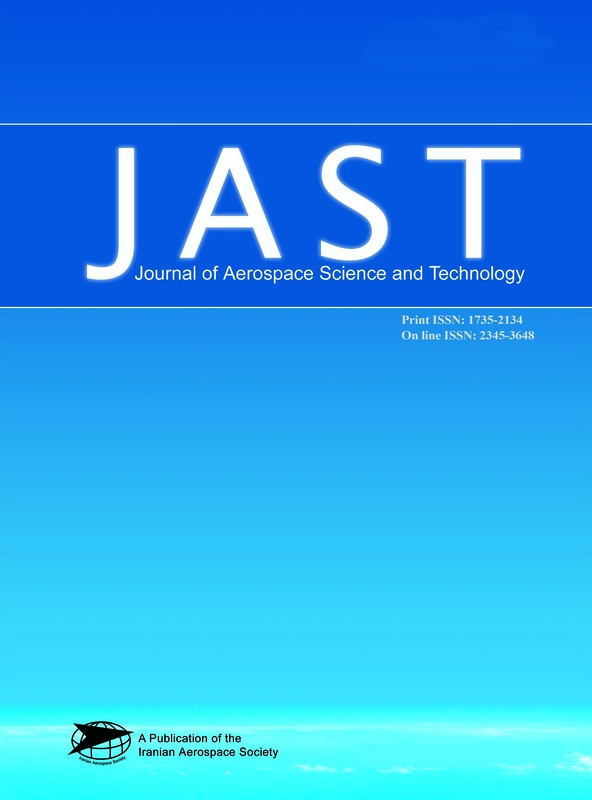 Journal of Aerospace Science and Technology, 5, 4, 2630, 167-174. Irani, S., Lashgari, M. (2630). 'Analysis of a solid state wave gyroscope with thin shell cylindrical resonator and calculation of its conversion factor', Journal of Aerospace Science and Technology, 5(4), pp. 167-174. Irani, S., Lashgari, M. Analysis of a solid state wave gyroscope with thin shell cylindrical resonator and calculation of its conversion factor. Journal of Aerospace Science and Technology, 2630; 5(4): 167-174. In this work the equations of motion of a Solid State Wave Gyroscope (SWG) with rotary thin cylindrical shell resonator is analyzed using the shell and plates elasticity theory. The gyroscope conversion factor found in this analytical study corresponds with the experimental results obtained and listed in the References. The function of the SWG to measure the angular velocity or the rotating angle depends on the type of resonator’s excitation. This paper analyzes two types of excitations, a positional and a parametric excitation. The former has a rate gyroscope whereas the latter has a rate integrating gyroscope. The equations of motion are solved using Bobnov-Galerkin method, where the forces produced from excitation electrodes are assumed to be the external non-conservative forces. Finally, the relationship between the input and output of the gyroscope are derived to demonstrate that the type of the excitation, determines the type of gyroscope.